A guide to resources about the Titanic disaster. 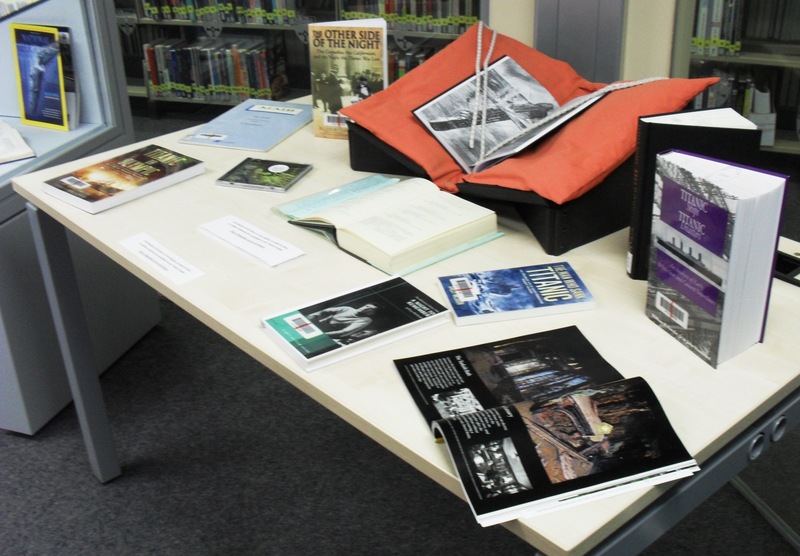 Welcome to the Titanic Library Guide, a collection of Library resources to help you find out more about the Titanic. Please get in touch if you would like to find out more about any of these resources or if you have any comments about this guide. When she was launched, the RMS Titanic was largest moving object ever built – 269 metres long and weighing 46,000 tons. One of three Olympic class ocean liners operated by the White Star Line, she was built between 1909–11 by the Harland and Wolff shipyard in Belfast. 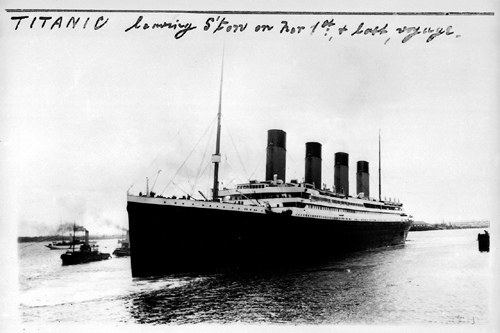 On 10 April 1912, the Titanic departed on its maiden voyage from Southampton to New York. On 14 April 1912, despite warnings of ice fields, the ship did not reduce speed and struck an iceberg shortly before midnight. The iceberg ripped a long gash in the side and the ship began to flood. Passengers were unaware and joked about the ice found on the deck. The Captain ordered the lifeboats to be filled and lowered, with women and children first. More than two hours after hitting the iceberg, Titanic sank into the Atlantic Ocean.